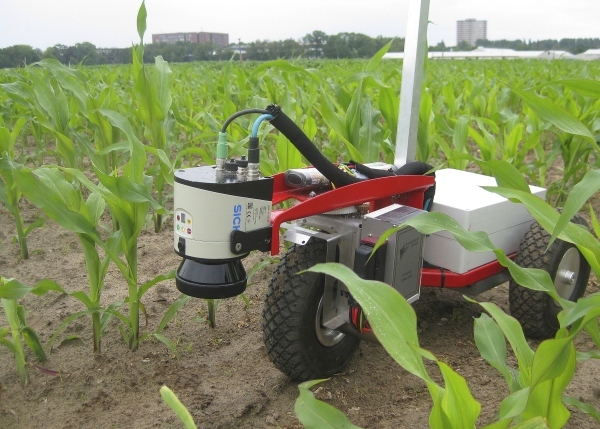 How do you navigate agricultural robots through a field? The major challenge of this application is found not only in the wide variety of crops out there, but also in the fact that crop rows are neither completely straight nor all the same width. Now, Wageningen University and Research Centre has developed a solution that uses the LMS111 2D laser scanner. Recently, however, a solution to this problem has been introduced in the form of small agricultural robots that is able to work in fields 24 hours a day, slowing down or stopping as the situation demands and operating almost entirely without human input. 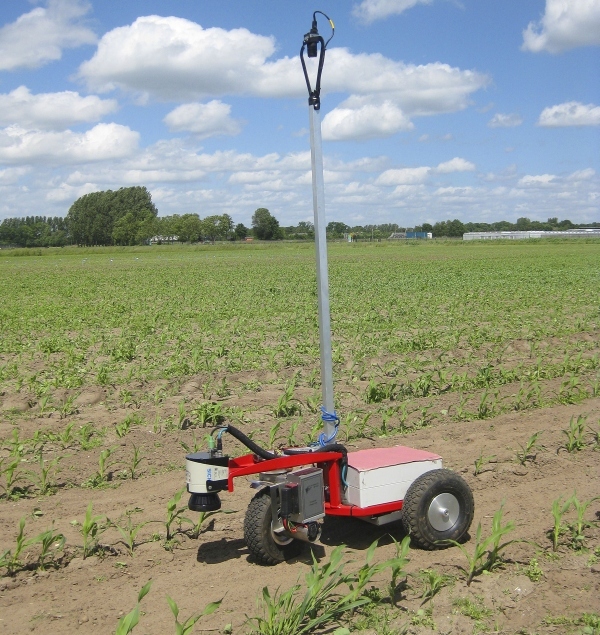 A good navigation system is one of the fundamental requirements for using agricultural robots successfully. The system must be able to account for deviations in the shape and size of crops, crooked rows of differing widths, as well as other irregularities. 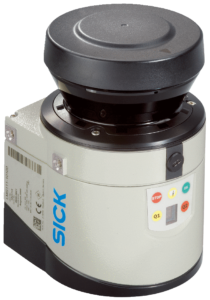 Standard GPS systems are not up to the job – so it was for this reason that Wageningen University and Research Centre developed a navigation process in which robots would be guided not by a GPS function, but instead by an LMS111 2D laser scanner from SICK. The LMS111 2D laser scanners collect the raw data and then filters the information it needs out of this. A whole range of practical tests were performed during the growing season to check whether the system was functioning as it should – with the results proving that it is indeed a reliable solution for navigating crop areas cultivated using conventional methods.